It is estimated that there are 40 billion Earths in the Galaxy. That's the number of rocky planets that orbit a solar-type star at just about the right distance to allow a comfortable surface temperature for life. This number is not a guess, but a measurement. It is an estimate that comes from one of the most daring experiments that astronomers have done in the last decade: the Kepler Space telescope. You have probably heard about it. It is a smallish spacecraft that was sent in orbit around the Sun (that is, in deep space, not low Earth orbit like that weakling of Hubble) staring at stars to catch them blink. Stars have many reasons to flicker, but the blinking Kepler was designed to search-for is related to the dance that planets make around their stars. Imagine this: a far away star is going about minding its own business with its cohort of little planets, like mother hen with its chicks. You know how chicks are, they never stay quiet, they go round and around their mom in incessant circles: so are these planets revolving around their parent star. Imagine now that this alien planetary system is so perfectly aligned, by pure chance, that at every orbits these planets transit in front of the star, as seen from afar. Each time this happens, the star will appear ever slightly to dim, because of the little planet blocking some of its light by standing in front of its disk. Like a mini-eclipse, except that we call it transit. Kepler was designed to continuously stare at 150,000 stars in our Galaxy, hoping to detect the tell-tale sign of these chance events, and use them to infer the presence and size of the planets that could be causing them. As improbable as this geometry is, Kepler found 246 of these luckily aligned planets, with other 3,538 probable extrasolar planets awaiting confirmation. You may wonder why all this effort, and what does it means. Well, the whole point of the exercise was to extrapolate the number of the discovered planets over the whole number of stars in the Galaxy, to estimate the fraction of stars that host Earth-like planets orbiting in what we call the habitable zone. The Kepler Space Telescope told us that this fraction is about 22%: about one star in four has at least one planet like Earth. Multiply this fraction by the total number of solar-type stars in our Galaxy, which is about 200 billion, and you get the 40 billion Earths through the whole Milky Way. It turns out that this fraction is one of the most important factors (fp∙ne) in the famous Drake equation. Envisioned by the astronomer Frank Drake, the equation lists all the factors to be taken into account to estimate the number of technological civilizations with whom we could communicate. Many other factors are involved, some of them easy to measure (the star formation ratio in the Galaxy) and other very hard to guess (e.g. how long a civilization will last before disappearing, or becoming so advanced that would be completely out of reach with our technology). The Drake equation, in its apparent simplicity and hidden complexity, spawned the search for extraterrestrial civilization which is SETI. A Don Quixote-sque enterprise, for certain, but based on science and with a huge potential payoff. As you probably know, so far we didn't find any evidence that these other civilizations are actually there. This is unfortunately a true statement, despite innumerable claims of alien abductions, UFOs and various conspiracy theories of government coverups and contacts of the third kind. Measuring the fraction of habitable planets, and finding it so high, gives however confidence, 40 billions times confidence, to be precise, that life could have evolved somewhere else in out Galaxy. The distances may be enormous and direct contact may be impossible but, as Arthur C. Clarke once famously said, the idea that we could be alone in the Universe is equally terrifying than the possibility to find somebody else! PS: what has this all to do with Chile and mountains? Well one of the world-renown hotspots of UFO sightings is precisely in a valley near La Serena. 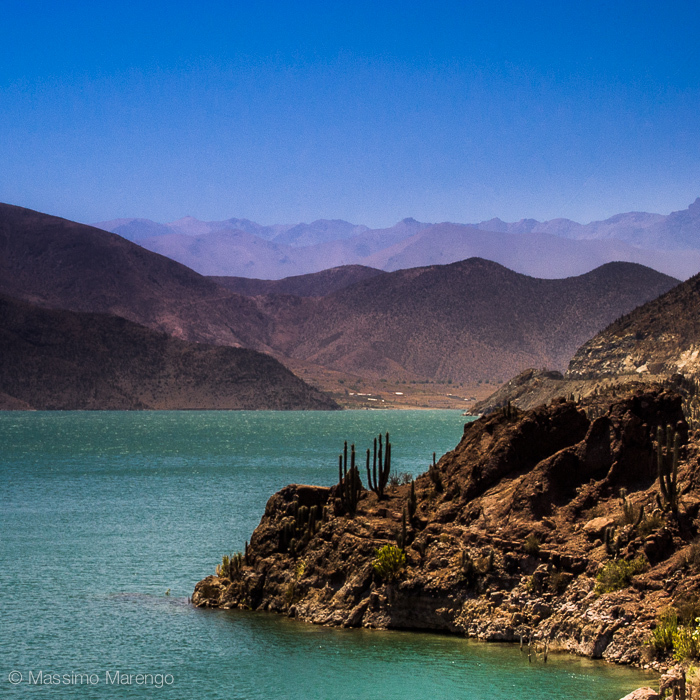 The Elqui valley is famous for its mysterious positive energy, for being the center of Earth magnetism (uh?) and for the crash of an extraterrestrial spaceship on a nearby hill with inevitable government coverup (the Roswell of Chile). 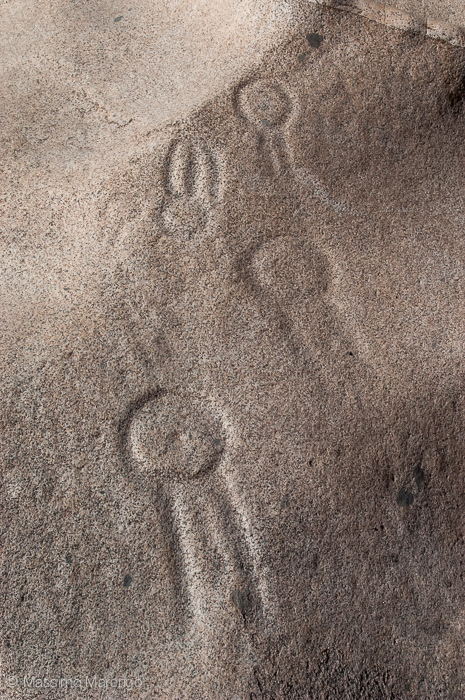 Even the prehistoric petroglyphs in the nearby Valle del Encanto show a clear depiction of several Enterprise-class spaceships from the Star Trek universe (see small photo above, what else could they be, right?). All this two steps away from the Cerro Tololo Inter-american Observatory (CTIO), hosting one of the largest telescopes in the world. Well, either we astronomers don't look to the sky as much as we pretend, or we must be part of the big conspiracy to hide the truth which is out there. Which I solemnly deny to be the case.